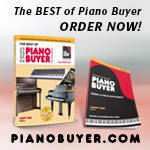 Register Log In Piano World Home Page Forums Piano Forum Would you buy a white piano? I've just put a deposit on a new Kohler & Campbell upright, however I'm having trouble deciding between the Walnut or White finish. Our house is quite light, and so white would suit, however, I've heard that white pianos can "yellow" over time. Has anyone experienced this or have any other opinion re choosing one finish over the other. The resale value of white pianos is much lower than more common finishes. The problem of yellowing was solved years ago. I don't remember ever seeing a single white piano in any of the 4 stores on Piano Row in NYC and I've been in some of those stores 20+ times. But if YOU like it and aren't concerned about resale value then it's right for you! I would make the tone at least part of the decision between the two. They make a great stage gimmick, but in practice, they are just plain ugly. 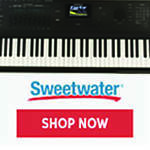 Following up on Steve C.'s post, if you have a reasonable expectation of keeping the piano for, say, five years, - or if budget is not an issue - get the one that you prefer. The longer that you play a piano, the easier it'll be to consider any loss as being less than you would have paid to rent one. Tone, touch, and appearance - to your ears, your fingers, and your eyes. Snow White and Ivory finishes were big sellers in South Florida for many years. Some sales in Arizona and California too. 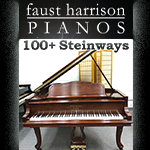 The popularity of these finishes has dwindled to where it is sometimes difficult to find dealers that will stock White/Ivory pianos. Yellowing is not an issue with the new poly finishes. If you like the white one best, and now you know that it won't yellow as it ages, buy it. However, I concur the trade-in or resale value will be much much lower than a wood tone or even a poly ebony finish. I have seen a few white pianos around, however, I've definately noticed that they aren't as common as the black or wood finishes. Secondly, both pianos are the same price. Thirdly, I'm happy with the tone and touch of both pianos. I didn't include this in my original post for that reason. 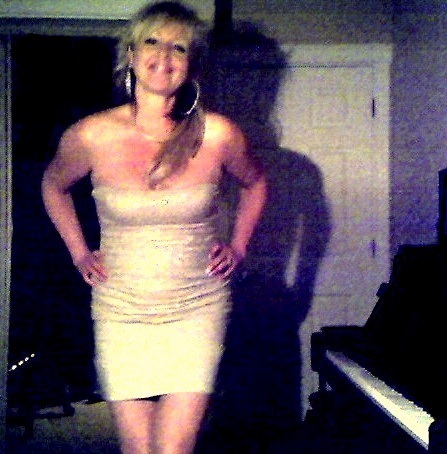 Personally, I love a "cream" colored pianos, and white can be, well, white like frigerators looked in the 50's. So I'd say, don't go into it thinking about selling it. Go into buying it cause you love the white. It will need lighting to adress the whiteness, so maybe consider pot lights above it. Lots of pot lights. Lighting can make a hugh difference. Also, one of my students has a white grand piano. They have tried to sell it on a few occasion with no success. 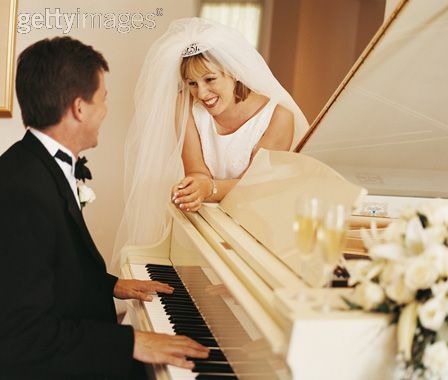 Again, personally I would love a white piano, but that's from a woman's point of view! So go with what tickles your fancy. No one elses! I have quite a few clients with white pianos. One advantage over black? The dust doesn't show up nearly as much. Scratches don't either Diane. I don't really notice any difference in quality but, as mentioned, the resale - and it is something to keep in mind as some day you may want to resell it - is much more difficult because most people want brownish or black. More importantly? Get a good quality piano, be happy with it and take good care of it besides the occasional dusting... Tune it regularly. White poly. can be easily shaded to just about any color of the rainbow by using a colored poly over it. Candy apple red? Deep purple? Peanut butter tan? We have had requests for all of these finishes and they are easier to do over a white piano than to start out on bare wood. So.... maybe white is more desirable than ANY other finish. Very interesting! Never heard of that one before Rich! Baldwin had zebra pianos, the best of both black-and-white worlds, no? As long as the tone is superb, the action divine and the price right, the exterior does not matter. NO WAY! Any grand piano should be black polished only. Polished because it lets people see the reflection of the "actions" under the hood. Wood finishes make the piano look less serious and more like a piece of furniture, although it is quite acceptable for an upright. Art cases are for people with the taste of a 150 year old woman. White/red/any other colors are for posers only. Just my opinion. Someone once offered to sell me a used piano. I was going to pass the deal along to someone I knew who was looking to buy, but then the catch - it was white. Personally I'm not usually picky on color, but I don't very much like white pianos. I agree with ChatNoir - tone and touch are paramount, aesthetics are secondary. I can tell you that when we were looking at pianos the white ones were $4K less than the exact same models in black or wood grain. When we asked why, the dealer said white is very hard to sell and even harder to resale. ++ what pno said but satin. I don't want to see my reflection while I am playing. It's distracting. Pianos should be black. Other colors are more furniture-like. It is more labour-intensive to make the Walnut finish than the White finish. Wow! I never thought this topic would generate so much discussion (and heated opinions!). When I said "white" I realise now I should have said "Off-white" (it's not stark white). Nonetheless, many of you think anything other than black or brown is ridiculous. We'd be happy with either option, but at the moment we're leaning toward the Walnut (polished) - it just seems to be a safer choice - particularly regarding the re-sale situation. How long would you keep a piano for anyway before upgrading? Any thoughts on leg style? K&C (121) offer a straight leg or a classical curved style. I think the white would prove to be an annoyance after a few years, whereas a black or dark wood is timeless. Also, since you aspire to a grand, it sounds like resale value should be a consideration. I once had a black spinet. It needed to be dusted every day. I now have a plain vanilla case walnut satin. I'm nowhere near 150 years old, but that piano takes up a huge chunk of my living room, and I'd be much happier if I could have afforded a case of a style to match the remainder of my furniture. Black only? For everyone? That's crazy. When I said "white" I realise now I should have said "Off-white" (it's not stark white). A white piano is definitely not as good as an off-white piano. White can look quite antique. And I hate antiques. But off-white is beautiful! I'd call off-white, cream, french vanilla! If I could have found an off-white baby grand piano, I would have bought it! Looks to me like more men are buying pianos than woman maybe! No, I would not buy a white piano. Buy some good stock and hold it till it goes up, then sell it. If it don't go up, don't buy it. Horses for courses. No accounting for taste. All that. Its fun spending other people's money. I vastly prefer woodgrain finishes for pianos - but then again, I like artcases too! I wouldn't want anything BUT woodgrain for an upright. For grands, I still vastly prefer woodgrain. A close second is white or off-white (I think I share another poster's preference for off-white vs. pure white). High gloss black comes next, followed by satin black which just looks old and tired. Which puts me in direct opposition to many/most here! But I'm weird. Buy whatcha like, don't pay any attention to us - 'cause we're not you! 1918 Hobart M. Cable "H"
I just went camping in heck, Michigan. It's frozen over. I still wouldn't buy a white piano. I favor satin black or wood finishes. Curiously, where I live white finishes are popular. This fact generated many jokes when I was piano shopping. Dealers would say, "But you live in ________. Don't you want a white one?" Actually, I would have considered a nice Steinway in white, if it played like a dream. It would have probably been a lot cheaper than in another finish, having spent years in the showroom! My teacher has had a white Yamaha upright on offer for a year, at a 30% discount compared to equivalent models in the 2nd hand market. He can't sell it. And he only bought it because it was dirt cheap in the first place. I'd buy a white one if that's worked best with my decor. But it would be a very conscious decor based decision. For general purposes a walnut would be the most adaptable. For an ultramodern setting perhaps black would be best. I could see a white one in a sunny Victorian wicker room with a lot of ferns for example. That would be charming. I could see a white one in a sunny Victorian wicker room with a lot of ferns for example. That would be charming. I agree, but then the sun would be bad for the piano. Unless the ferns were shading it! [b] I could see a white one in a sunny Victorian wicker room with a lot of ferns for example. That would be charming. I envisioned it in a shady corner with a couple of torchieres nearby. Wouldn't want the sun in the pianist's eyes either. The décor would have a lot to do with it, I'd think. 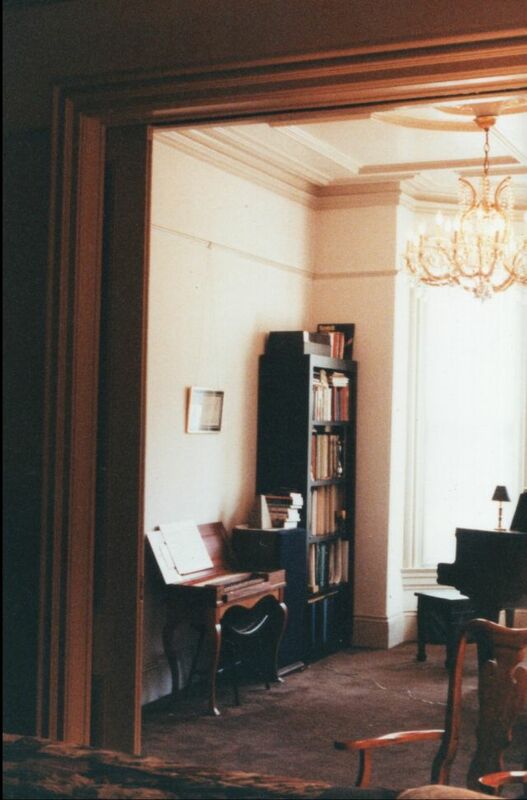 When I lived in Manhattan I had big white room with tall windows along one wall. The floor was white and all the furniture was white - very 'moderne'. At the end of the room I had a black grand, which made quite a visual statement; however a white grand would have had the same impact. Has this piano table been discussed here? It comes in black or white. WB, those white rooms would make me feel like I needed to get into a white tux to practice, LOL. Mariah Carey bought it for $600K + . WB: the price of the piano table is outrageous! but..put a keyboard in the silverware drawer. and you have a piano..LOL! I don't know. She may just have been a 'poser' - but a virtuoso one. As with any important investment all angles should be considered. With an instrument always sound, touch, acoustics are first. That should be a given. But second should always be the resale unless it is the 9 foot grand of your dreams and when you die you don't care what is done with it. But then one should always take into consideration their heirs as can they resell it so that you can really get the most for your buck if they decide they are not musicians and your investment can still bring a benefit. I love the walnut cases but in satin the best. However provided it is not an odd color like the green bosendorfer that was made for a St. Patricks Day parade I played and loved but would not buy for that reason you have to live with it. Got to be a personal choice. But on a similar note, I am thinking about painting one the color of Barny (purple) to attract my granddaughter to the piano. She is five and likes to 'help' me play. Little does she know that I am willing to do any trick or treat to get her interested. Probably going to send her a letter 'from' Barny telling her that she should learn to play. She has a dvd that includes a sequence where the piano is part of the story line. She also has a small piano of her own. Actually if I had tons of money and no concerns about retail value I'd probably go for Elton Red. Years ago we sold a brand new S&S M ebony satin to Vanna White. She paid us to refinish it in White of course. She was thrilled. A few years before that Ray Charles business manager work with me on a new S&S B for Rays condo. First Ray was insisting on have it made white. Then he changed his mind and just wanted it made high gloss black. When I queried his manager about all this for a blind man, he laughed and said that Ray could feel the white color, but he could feel the high gloss. Pretty fancy. Of course, you would never buy a white piano, would you? Compliments of your screen name. I know two households that have white pianos. They both look simultaneously tacky and ridiculous. I would look STUNNING on a white grand! I know one household that has two white grands. And they are both Bösendorfers. White pianos reflect all wavelength colours whereas black pianos absorb all wavelength colours. The white piano therfore alienates the audience and the performer is not taken seriously. I went back to the store to have a second squiz. The walnut with straight legs does look lovely and is probably the finish I will go for. I love creating, playing and loosing myself at the piano - I need to be able to fall in love with it. Thanks for the photos. My favourite is the one posted by Whippen Boy with the photo frames on top - gorgeous! White? Who wants white when you can have this? Few years back, Estonia made a real beautiful white satin grand,one of which we sold to a doctor who has sadly fallen sick recently. For all I know, this is truly one of a kind type piano and has IMHO quite a different appeal than the glossy whites commonly seen. The 'poser' comment was about Marilyn Monroe; it seems you thought I was speaking of you or Australians? Now that's my idea of a fine looking pie-anner! I know of a technician who is refinishing a Steinway in white for his Mom. He says she has elegant taste and I have no doubt. In the right decor, only a white piano would do. This is the principal reason brides always wear black. ...would cause the performer to be taken seriously only 50% of the time. So what would be the "right" decor? For those forum members that think wood/black finishes are the preferred options, do you think you should still have a wooden finish even if the look of the piano doesn't fit into your home that well? Remember, I'm talking about an upright - so it doesn't command as much attention as a grand, but is still a significant piece of furniture. Omce upon I had a pecan finished upright that would've liked your color scheme. Frankly I think an off white upright would look very nice in your setting. You may as well buy what you like, what would look good with what you have now. You may end up keeping that upright the rest of your life even if you go for your dream grand later. There are several piano companies that have light wood featured uprights that should go well with your decor. Personally from what you have described, I would not suggest white. In a home in Fla, or Hawaii etc where the decor of the room is based on white, I think it would fit better. Without going back and looking to see if there was a budget or mfg that you are looking at, and not knowing what you might have available in Australia, I'll just mention a couple that I am familiar with. Sauter has light colored finishes. Schultz Pullman has interesting wood finishes. Try googling each of the above for the mfg websites and check out what you find for finishes. Some might need to be ordered. White is the colour of pestilence. [Not all brides wear white]. Since white reflects all light wavelengths and black absorbs all wavelengths, white pianos or people dressed in white are surrounded by a reflective aura thats IMPENETRABLE. Thats the blasted reason why it creates a barrier between the performer and audience. Nobody paints their picket fence black do they? Looks acceptable at a wedding I'd say. Think they like the ivory color of this grand! Not sure they are paying much attention to the piano though! Okay, is it white, ... or is it cream? I'm confused! Thought we were talking cream? 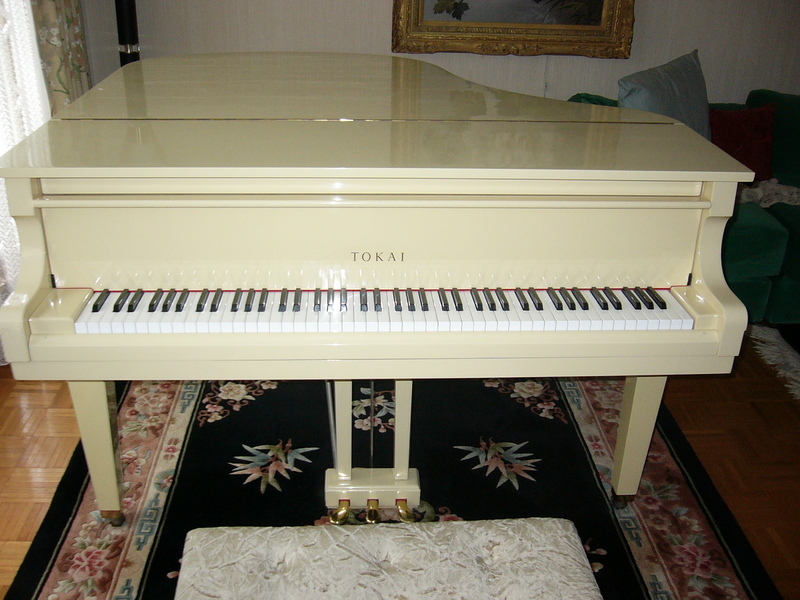 A cream color piano is cream, french vanilla, banana cream pie color! White is a whole other color, or lack of color! This piano is cream! Is yours this color, or white? I just remembered: In my "childhood", I worked for 9 months aboard the venerable ship "Sagafjord" (now the "Saga Rose") On board we had two grands and two uprights (one was a Rippen, a true nightmare!) But the funny thing is: they were all white. This was back in 1967. At a stop in Charlotte Amalie, St. Thomas, I played the piano at the bar in the St. Thomas Hilton, and it was also white. Were white pianos very much in fashion then? That photograph gives me joy. When those two glasses of white wine fall into the soundboard after she devours him,that piano will make the queer noises usually associated with castrated cats and white pianos. In the meantime, what are we going to do about all those black wrought iron fences? You can rip up the wrought iron fences and use em to malafuster any white piano that crosses your path. I dare say that as a child I found plenty of white fences that were quite penetrable. ,You, DanLaura Larson, did not penetrate any white fence,what you penetrated were the black spaces in between the white pickets. Go to 3-07 onwards to see what happens to white steinway in this remarkeable original Pink Panther Film with the late great Peter Sellars. Not much to look at compared to what sometimes happens to BLACK pianos. 1. White piano needs to be special ordered. 2. White piano's prices for a new one is the same as for any other colors. 3. White piano has awful resell value. 4. White piano is harder to attract buyers either new or used. 5. 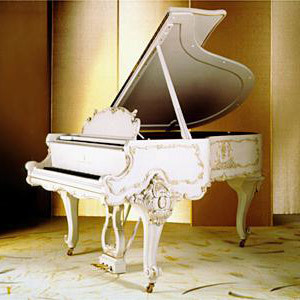 White piano is considered "cheezy" or "Hollywoodesque". 6. White piano is "unmanly". 7. White piano sticks out like a sore thumb. 8. White piano hides dust and scratches better. 9. White piano finish is harder to repair. 10. White piano is only for posers (pianist wannabe). Last edited by dr.dai phan; 12/21/11 01:40 PM. Congratulations on your grand piano. Please, post pictures. 12. White pianos make people dredge up old threads from years ago. Congratulations on your new (to you) white Kawai. May it bring you many years of pleasure. Of course it never happened if you don't post pictures. Where I live there is demand for white pianos. The dealers don't know why the locals want them, but that's why they stock them. Last edited by dr.dai phan; 03/13/12 11:19 AM. Last edited by dr.dai phan; 03/14/12 04:26 PM. The day before yesterday I visited Steinway Hall in Fort Worth, TX. They had a white Steinway, John Lennon Special Edition. It has John's self portrait on the stand, and the first compasses of "Imagine" printed on the back part of the Iron plate. Price tag, more than $100 grand. Curious, but I would never buy such a thing. I was curious if ANYONE would buy that thing. It seems like a double-poser white piano from south-central Gimmickville. As for other white pianos, they are pretty gaudy and feminine in my opinion. I like them... in other people's homes where they fit. If you own a whitey, you better be able to sit down and play better than 99.9% of all pianists, otherwise you come off as a showboat furniture fanboy. Last edited by Rusty Fortysome; 07/18/12 01:37 PM. I definitely need one. It would make a beautiful stand for my Revere, 5-arm sterling candelabra. Soooo flatering when I am wearing my sequined smoking jacket. Julia Child once stated that a roast suckling pig was a beautiful way to display an apple. I would have bought one in January of 2009 when this thread was started and I would still buy one today. I like white pianos. Some people would consider my piano hideous. It's a walnut Louis XV, but it fits into our decor and I love it. More importantly, my wife loves it. Almost as important, my children (budding pianists themselves) love it. Whenever I talk of selling it, my daughters eyes get as big a saucers and she bellows, "NOOOOO!!!!" Last edited by Pianolance; 07/18/12 06:12 PM. Considering the prices of acoustic pianos, we should all buy the piano that we love to play, listen to, and look at every day. The way a piano looks shouldn't be that important, but it does take up considerable floorspace and it is a big purchase, so it should look good. The only way I would keep a white piano in my home is if it was a very large, newer Bosie and it was given to me with free tunings! I think I'd have to hide it under a blanket when I wasn't playing it. Polished walnut is my favorite, but I have polished black. It shows dust, but since I actually enjoy dusting my piano (hate dusting everything else), it's not a big deal. [quote=Rudy99golf]The day before yesterday I visited Steinway Hall in Fort Worth, TX. They had a white Steinway, John Lennon Special Edition. It has John's self portrait on the stand, and the first compasses of "Imagine" printed on the back part of the Iron plate. You are, of course, joking. Even if what you say is true, what's wrong with "feminine"? Or even "gaudy" for that matter? ...they are pretty gaudy and feminine in my opinion. ...thank you. Reference: opinion, fact. Some people would consider my piano hideous. It's a walnut Louis XV, but it fits into our decor and I love it. My guess is that, based on its longevity of production, the Steinway Louis XV is one of the most successful art case models of all time for any piano maker. I think they're beautiful. It would be quite interesting, I think, to know how many people would purchase pianos with some of the more exotic wood finishes or art case designs if they were no more expensive than basic ebony pianos. Last edited by pianoloverus; 07/19/12 07:08 PM. A seller not far from me had a relatively recent white Feurich, nearly 7', for $20K. Had I been ready, I would have snapped that thing up regardless of the color, even if it were pink with purple polka dots. But I dallied and I am pretty sure it went to somebody else. Last edited by dsch; 07/19/12 09:33 PM. J&J - Love dusting? Even the piano. Not me. I've just gone from a 6' Walnut to 7'4" Black - and not looking forward to dusting. There must be a good side to it - there must be less dust on the floor with a bigger piano. pianoloverus - absolutely right - opinion not fact. But the rest of the sentence tells my true feelings. If I'm going to spend that much money and it's going to take up that much space in my livingroom, and if I'm going to have to look at it every day, it should look fabulous to me. Alan - I hate dusting. I only like dusting the piano. But living in the desert southwest and having a dog, dusting should be my main hobby. Melody7 asked if I would buy a white piano if I could get it in walnut. "Not only no...." but it's Melody7's choice and she should buy whatever her heart desires. It sounds like you need a poodle - they don't shed, though they still bring dust in from outside, but less than others if you keep their paws trimmed. I used to think that the only way a white piano looked good was if it was on fire. I guess I still think most of them look weird, but, as I've played more and more pianos, what matters most to me is the feel of the action and the sound. So, I guess my answer would be that I would buy a white grand piano if it was the best of all the pianos I had tried and that were in my price range. I'd buy a purple or pink piano if it fit the same description. I have cats that LOVE to get up on and INTO the piano, so I keep it closed and covered most of the time, only the fly lid and the keyboard are open, so... I currently have a black quilted piano cover colored Brazilian rosewood grand... mostly I only see the black quilted cover... and two cats on top of it whenever I play. Aren't White Pianos proof that Elvis is still alive??? My piano is white. Absolutely love the finish - I can go for months without dusting it and if I didn't purposely run my fingers over it to see if there was any dust on it - maybe I could get by with once a year.